FKA twigs has positioned herself as one of London’s (and, dare we say, the world’s) most intriguing musicians, known as much for her spellbinding visuals and dance-oriented performances as for the futuristic R&B that accompany them. Discover her long-awaited LP1, which EB’s Daniel Jones describes as unique, intimately beautiful, and a template for R&B’s future. 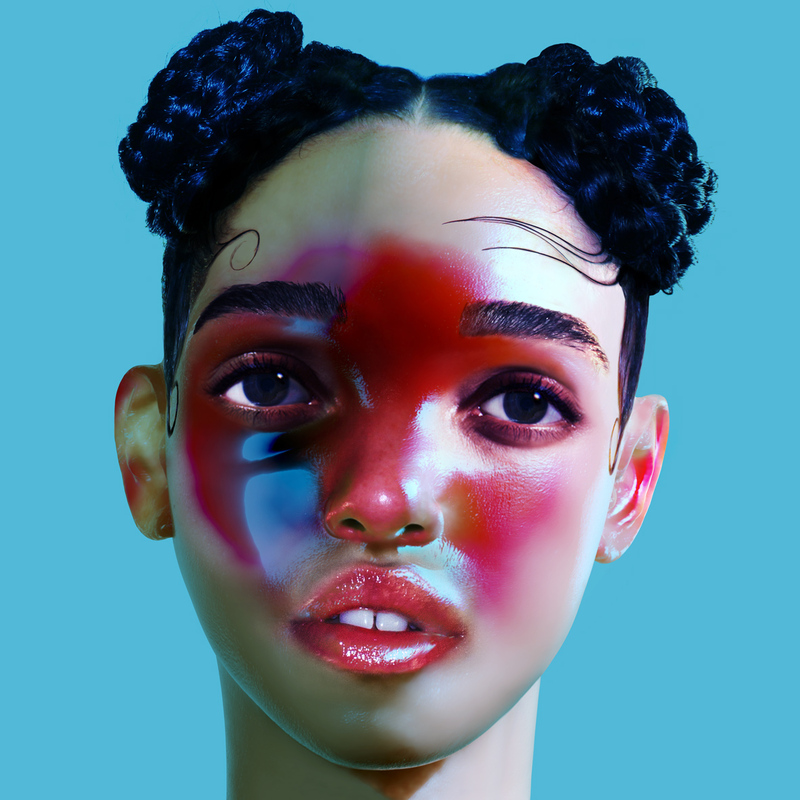 FKA twigs is that rare artist who, with each new aural unveiling, never fails to surpass herself. Last year’s stunning EP2 (and the exquisite music videos that accompanied them) released a veritable deluge of praise from the lips and fingertips of all who beheld it. Perhaps because there’s so much of Tahliah Barnett in it. Aside from her breathy, entrancing vocals, the self-taught 26-year-old produces much of her work herself. The layers of emotion embedded in both bass and vocal is astounding, and it contains enough depth and power to leave echoes across the mind for days. It’s a fact: there is no one like FKA twigs—nor is there any modern record like her debut long-player. LP1 is likely to be considered a “difficult” record by pop standards; the woozy, occasionally off-kilter production and deadpan title give the album the same odd, unapologetic posture that her work has always shown. Deconstructing the 808 beats and polished conventions of contemporary R&B, Barnett’s songs evoke a sense of déjà vu in the listener by twisting the familiar into new sonic shapes. Rather than building on bombast, silences and stark arrangements are used to haunting effect, making the climactic moments all the more powerful. Slow, bass-heavy thuds lurk and grind against each other in the background, sucking away your breath without warning before receding again. Yet as unconventional as it may be, this is undeniably a pop record, and it’s in the long-player format that Barnett’s brilliance most comes to the fore. As with her previous work, love, lust, melancholia, fear and hope are dominant themes, and the immediate impression is one of a broad emotional spectrum from “When I trust you we can do it with the lights on” to “I could kiss you for hours.” On first listen, “Lights On” (the former quoted from above) is a throbbing and coyly sexual slow-burner that builds to a climax of sultry after-dark guitar. But as Barnett admitted in a recent interview with Pitchfork, the sexuality is embedded in a strength to expose your negative sides to someone else—but only after trust has been earned. Barnett approaches R&B’s thematic bedrock with an honesty and intimacy that makes each song feel like the memory of a lover’s conversation. Accordingly, a strong sense of loneliness walks hand-in-hand with the sexual imagery in FKA twigs’ music. This coupling lends a sadness to even the most exuberant tracks on LP1, and an air of desperation to her seductions. As with many artists, Barnett has always exaggerated her image, but it’s telling that these exaggerations often paint her as something almost alien rather than ideal. “Closer”, a song about (perhaps) finding true love, is built on humming, spectral production so ethereal it might have been plucked from a Cranes album, and closes with one repeated phrase: “Isolation.” The skittering snares on “Video Girl” are hurled forward by bass thrusts, and while musically it’s one of the album’s most radio-friendly tracks, the lyrics paradoxically decry unwanted attention. Even the sweetness of “Hours”—soft lips trembling and rumpled bed linens dampened with sweat—ends with the dehumanization of her voice as it slows, winds down like a machine . . . and dies. LP1 is out August 12th via Young Turks.